View Poll Results: Should I consider it? No Automatics in this family! I think they will look sweet. What size are they? 16s im guessing. Id say go for it if you like them. Is that your GT? freaking sweet little car you have! They look good, but seem alittle small. I'm picky about rims but those are really nice. I would pick them up for 600. I gots the V-TEC y0! - Who is the manufacturer? - Forged or Cast Aluminum? - Weight w/ and w/o tires? After answering those I'd give you my honest opinion. Konig's are ok... they are cast aluminum (more than likely) and are probably in the mid 20's US lb. per wheel... Not bad if you're not X'ing or anything special. I like the way they look on your car, so why not? Just double check for any bends. Are they summer tire sor all season? not bad looking, personally not a fan of multiple bolt pattern rims. 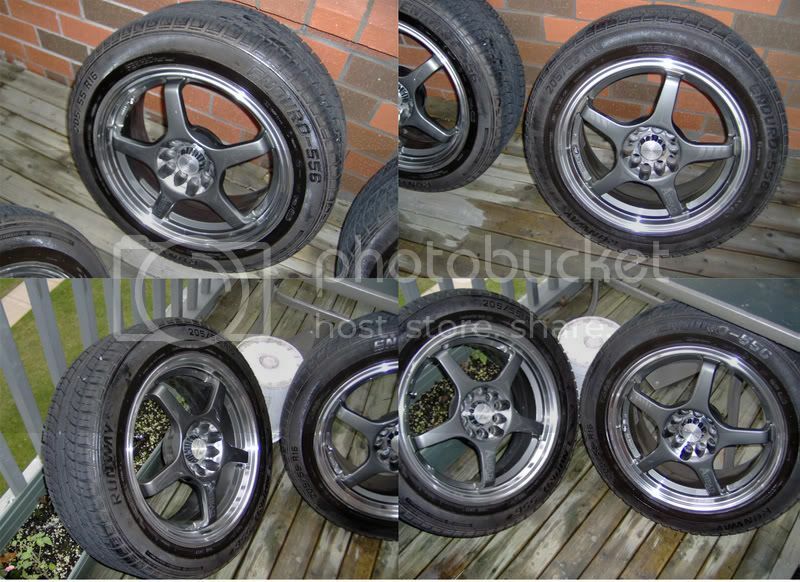 could get better rims for $600 but then no tires. if you like them go for it. They look pretty good. Probably not the lightest wheels ever made in 16x6.5, but if you're not racing, who cares so long as they won't break. Joey; Turning Ricers into Racers, one convert at a time.